Every week we go food shopping and we buy items we need like food, soap, dish soap and laundry soap. Do we buy laundry detergent based on what is best for our clothes or what is more cost effective? When it comes to getting your clothes clean, we should not skimp on the product. If the best is a bit more expensive than the others it is well worth it to have clean clothes. The importance of clean clothes is to not have clothes with dust and allergens from your every day life on your clothes. The second thing is that clean clothes make for good hygiene. The better the laundry soap the longer your clothes will last and you can save money on buying new clothes. There are many different brands out there that claim to be the best. There are some that offer scented formulas, unscented formulas and some that are considered to be Earth Friendly. We have chosen three best laundry soaps of 2009. These are based not just on why customers like them but from their formulas and how they make the clothes look and feel after you wash them. Have you ever used a cheaper laundry soap just because you did not have the money for the more expensive brands? Some of the less expensive brands leave your clothes dull with color and they leave your clothes less than soft. This is why buying laundry soap that is best may not always be expensive. 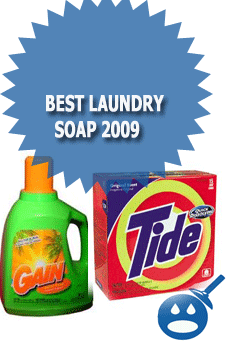 The top three best laundry soaps of 2009 are Tide, Arm and Hammer and Gain. Each of these laundry soaps has great formulas that work to get your clothes clean and the brightness of the color of your clothes back to the original colors. Tide has been cleaning clothes for a long time and they know something about getting clothes clean. 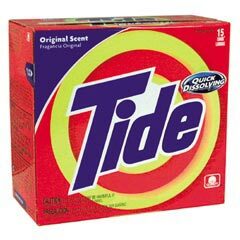 Tide started off as a powder, you would pour in the recommended amount of soap needed and you would come out with fresh looking and fresh smelling clothes. Today, Tide is available in many different ways, the powder is available as is liquid Tide, Tide Stain Release, Tide Sticks to Go, Tide Washing machine Cleaners and Tide Washing Machine Accessories. They have so many different formulas for Tide now, Tide with a Touch of Downy, Tide With Cold Water, Tide with Febreze Freshness and Tide with Bleach Alternatives, this are just a few of the liquid formulas. They have created a new Tide formula called 2X Concentrated, this will help reduce the amount of water that is used per wash. The idea is that with this formula you could wash twice the clothes with less soap and water. Tide can be a bit more expensive than other brands but Tide leaves your clothes feeling soft and clean. You can find Tide in any supermarket or Target locations. If you like a bargain, you can log onto the Tide website and receive some offers and you can download some coupons that will save you money on your next purchase of Tide. Arm and Hammer is one of the most well known names in the cleaning industry. It has lots of uses ranging from brushing your teeth, to cleaning tough stains to getting your swimming pool clean. No wonder it Arm and Hammer has a full line laundry soap products. 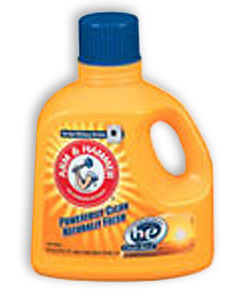 Arm and Hammer Powder Laundry Detergent contains stain removers that will have your clothes looking almost new. 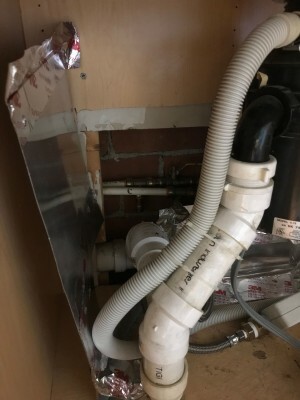 Another great part of the Arm and Hammer formula is that it contains soil suspending formulas that allow the dirt and particles to remove from the clothes and stay in the water rather than land back on the clothes. Arm and Hammer will also remove odors from any pile of laundry. You have your choice of Arm and Hammer Powder Laundry Detergent, Arm and Hammer Powder Laundry Detergent with Color Safe Bleach, Arm and Hammer Detergent Perfume and Dye Free, Arm and Hammer Plus Softener and Arm and Hammer Essentials. You can find coupons online on their website or at coupons.com. Gain has some of the best commercials on TV. The idea that Gain smells so great that you just want to wash your clothes in them, makes you want to go out and try it. The thing about Gain is that it really is a great product. Yes, they have some great scents like Simply Fresh, Original Fresh, Outdoor Sunshine and Fresh Awakenings just to name a few. Gain comes in liquid or powdered form. Gain works hard to get rid of odors that linger in dirty socks. This laundry soap not only smells good but it leaves your clothes soft. The color won’t fade and customers love that clothes look as new as can be. Gain also comes in Joyful Expressions and Soothing Sensations. Gain works hard to make sure that your clothes stay cleaner longer. You can find Gain in any local supermarket or retail store that sells home cleaning products. 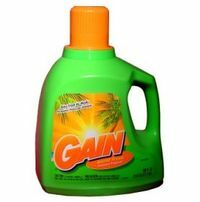 If you have not yet tried Gain then go online and see if you can get a free sample, if you can’t go to the store and buy a small container of Gain and see if it really does make a difference from your old detergent. Finding the perfect laundry soap is like finding the perfect clothes to wear. If you choose a soap that causes your clothes to fade and look worn then you won’t look good. You can experiment with many laundry soaps but these top three soaps that we profiled have great reputations and they are affordable. You can do some experiments, you can wash your whites in your brand of laundry soap and then with these three, your whites will come out whiter without bleach. You will be very surprised at why you did not try these brands sooner. I’m an English teacher and I’m preparing a class for a presentation. I’d like to use an advertisement about a laundry soup. The English level of my class is basic. The idea I have is to use the recording of an advertisement and to use a piece of a written advertisement.I will really appreciate your help with this material.